Make Pop Can Art Projects With Your Class: Use Recycled Soda Cans as Art! Recycled art is easy to create. Students can create beautiful, interesting objects and discover that using recycled materials is fun, and useful. This art project is for students in grade 5 – 8. 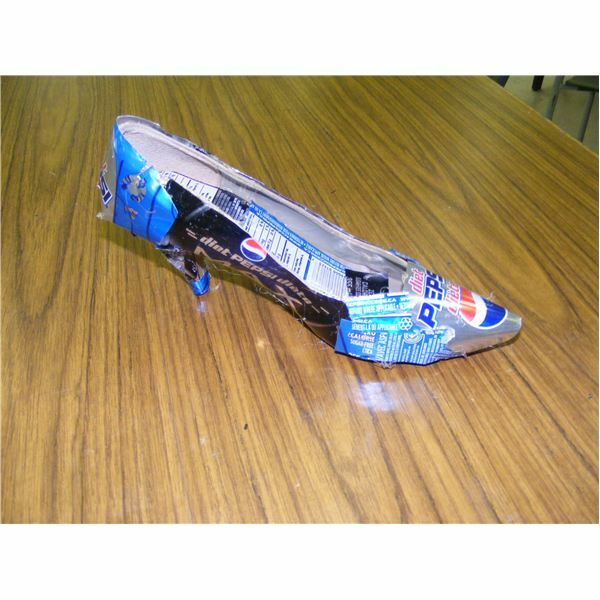 Teachers can teach about pop can recycling in a new way with this easy recycled art project. Several Pop cans, tape, wire, hot glue sticks, hot glue gun, hole punch, shoelaces, etc. This art sculpture is made with old pop cans and other materials to teach about the reusing of bright metallic materials. Students should bring their own materials. 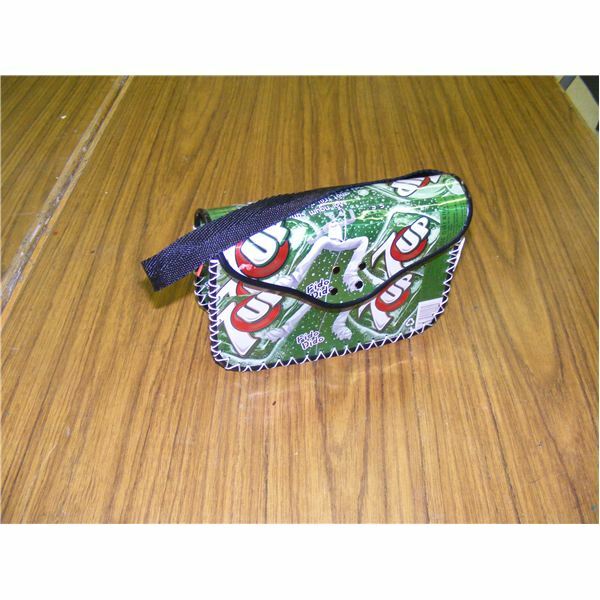 Teacher can demonstrate purchased pop can purses or other articles to provide the students with ideas. The students need basic cutting and gluing skills to make their sculptures. Using a “Conservation” theme, brainstorm with the students about ways we can conserve energy, resources, heat, and water in our world today. 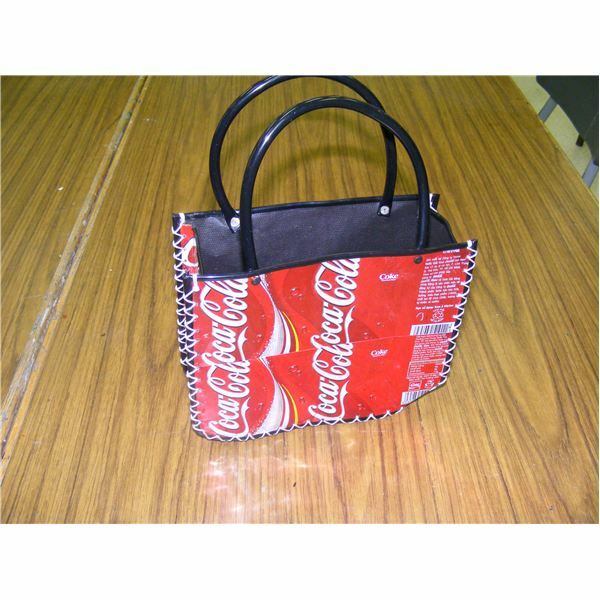 Demonstrate articles made out of recycled pop cans such as purses that are sold online or in stores. Ask students what they would envision in a perfect, green world in the future. Once their ideas are focused, ask them to create a theme using pop cans to teach a conservation lesson. They can show buying from a local market, using alternative transportation, conserving resources, recycling or even composting. Cut apart a pop can using scissors and lay the pieces flat. Show how the pieces can be flattened, curled, folded or bent to shapes needed. Use a hole punch to get holes in the can to piece them together. Use leather or a shoe lace to sew together pieces. Tape or use hot glue to glue other pieces together as needed to create a sculpture. 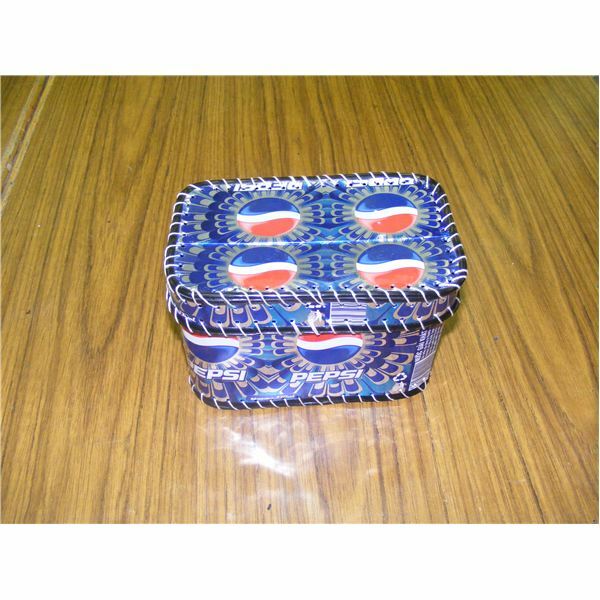 The tabs of the pop cans can also be strung together on wire for handles or to create jewelery. 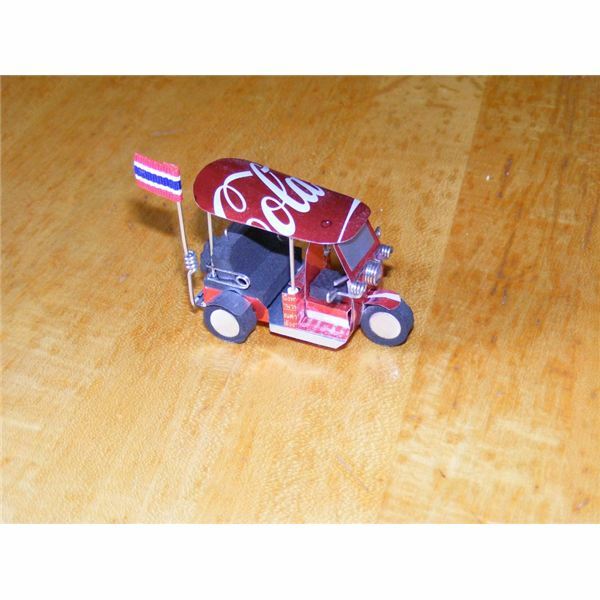 The pop cans may also be used in their original shapes with pieces added or glued onto them. Students need to be creative in their use of the pop can parts. Show students that what they mount the sculpture on is also a statement. For example, if creating a shoe, what is the “footprint” they want to leave on the earth? Would the shoe create a big dent in the mountain of garbage created? If creating a hat, what is it protecting? If creating a purse, what can we carry in it? What material would a person use for mounting on? Have the students give their art sculpture a title. Write the information on a 4 x 6 index card. Make suggestions other than “Pop Can Hat”. A more creative title might be “Pop Can Protection for the Earth”. 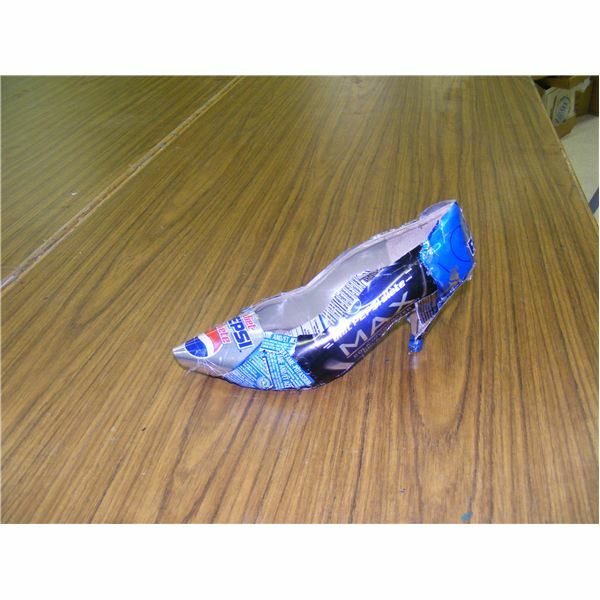 The title could be “Walk the Walk” for a recycled pop can shoe. The card should then state the medium used and then the students name and grade. Then ask the students to write on another 4 x 6 index card what they want people to learn from their project. The title may teach about conservation, such as a pop can bench titled “Waiting for the Green World”. The bench shows that if more people chose to use alternative transportation such as a bus, they could conserve resources such as gas and reduce carbon emissions. Remember to display the student work together in a showcase or on tables; show the index cards they’ve written. The title could be “The Art of Recycling” or “Conservation: Thinking Outside the Box (or can)” or “Pop Cans, Pop Art, Popular Culture”. This could be in conjunction with a science display on conserving energy, or an earth day display. 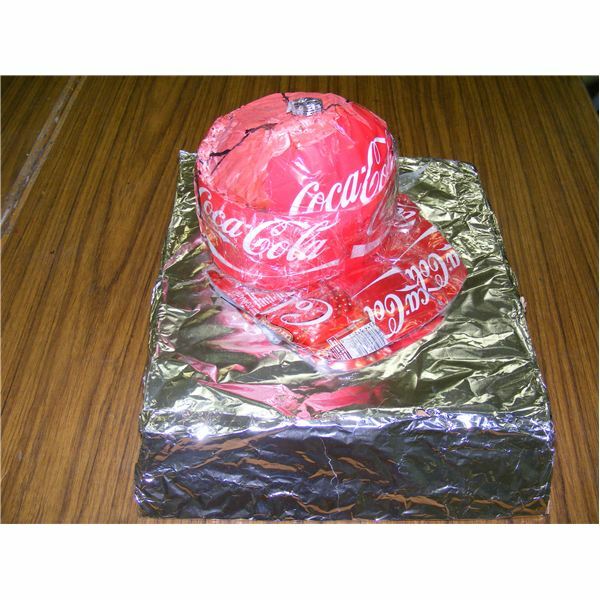 Use Pop cans of the same brand such as coke and have students create shoes, hats, purses and bags out of the same can to co-ordinate the look. Use only one theme but different pop cans for the theme. For example, if you are designing alternate forms of transportation, create shoes, busses, bus stops, bikes, paths etc. all out of cans. The sculptures may or may not be usable. 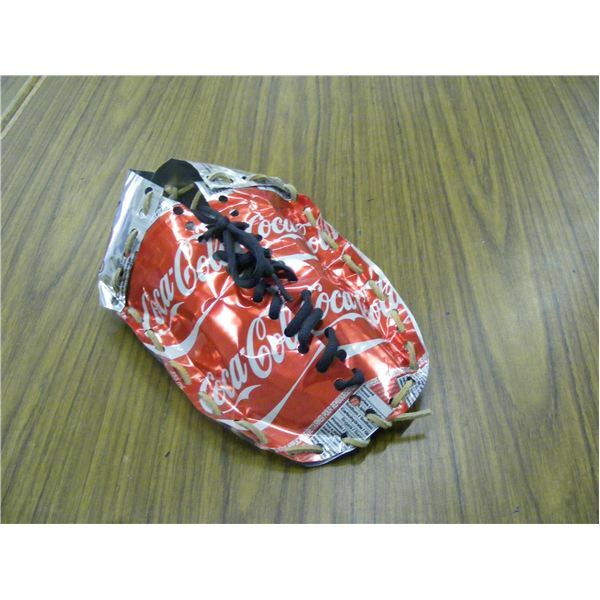 For example, a shoe covered in pop cans is usable more so than a shoe made from only pop cans. 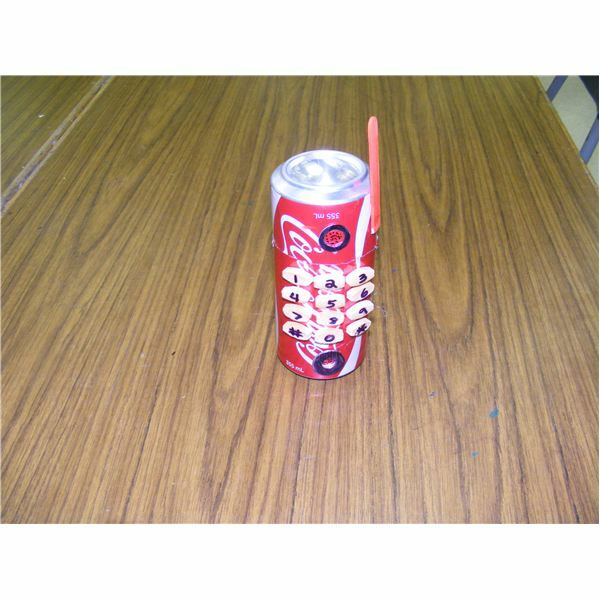 Create houses or articles made out of the pop can such that the can looks large compared to the size of the people using it. A pop can house shows how large the problem is to get people to think outside of the box. Use the lesson to teach students the benefits of recycling. Ask them how the project may help the environment by recycling or re-using pop cans in a new way. Demonstrate can and bottle recycling when doing this project by recycling bottles and cans in the classroom and school daily. Use the lesson to teach about how shoes or purses are made. Create grocery bags, shoes, hats and purses from other types of materials that can be used again rather than plastic. This easy recycling art project is creative and open to many ideas. 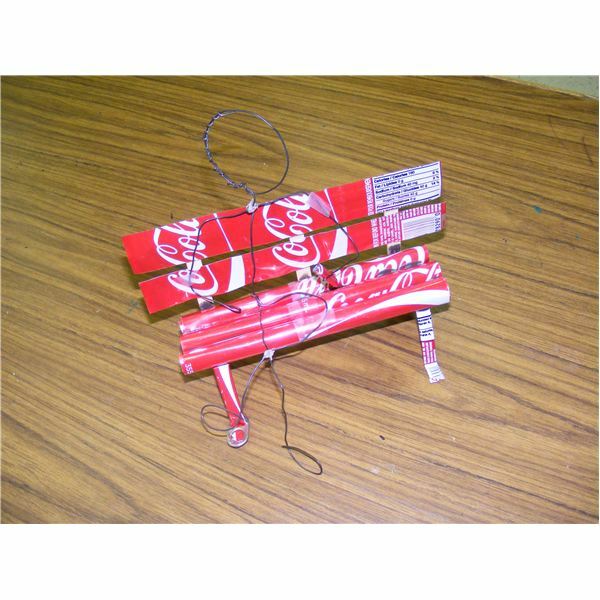 Students will find it easy to create useful and beautiful art from recycled materials. Conservation in a pop can is a science and art project where students can reuse resources, teach others a useful conservation message, and see recycling as an art form. Teacher experience; photos are the author’s own.